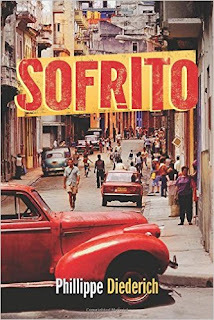 SOFRITO is a fun, entertaining and suspenseful novel that is bound to become a favorite with foodies and readers alike. This book has everything – mystery, espionage, romance, and an exciting trip to Cuba. Each chapter starts with an actual quote from celebrities which adds flavor and authenticity to the book. Readers are in for a favorable treat. SUMMARY: Frank Delgado, his brother and cousin own a restaurant in the Bronx that is going belly up. They are desperate for a solution to save their father’s legacy, when a crazy idea comes to them – go to Cuba and find a secret chicken recipe guaranteed to bring in customers. It’s supposed to be an easy trip, Frank would bribe one of the kitchen staff to sell him the secret ingredients and then return home. But the trip quickly takes a turn for the worse. Suddenly, Frank is embroiled in a Yames Bond-like adventures with secret messages, thugs with hard fists, and clandestine meetings in seedy parts of Havana. The only saving grace is Marisol, a jinetera with a heart of gold and a wicked kiss. Her support invigorates Frank and helps him accomplish his mission. 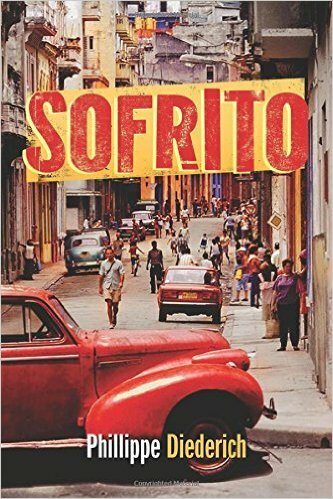 But secret ingredients are not the only thing Frank finds in Cuba, he also learns secrets about his father that will change his life and family forever. ABOUT THE AUTHOR: Born in the Dominican Republic, Phillippe Diederich was raised in Mexico City and Miami. His parents were kicked out of Haiti by the dictatorship of Papa Doc Duvalier in 1963. He spent his youth listening to his parents and friends talking politics and nostalgically dreaming of the day they would return to Haiti. In 1980, the family moved to Miami, where they joined a community of exiles from all parts of Latin America. Diederich traveled to Cuba as a photojournalist throughout the 1990s. He has an MFA in creative writing from the University of South Florida and lives in Florida. Visit him at http://www.phildiederich.com/.